Gramene encourages and supports researchers to learn how to annotate and format their data sets accurately for publication and deposition in the public repositories for its long-term utilization, re-use, re-analysis and interoperability. 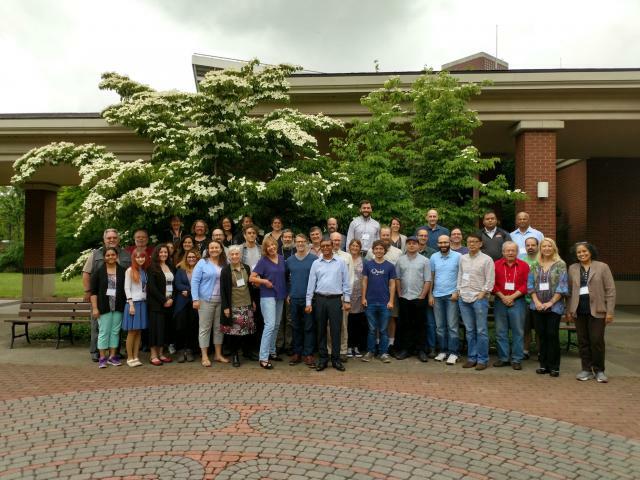 This past summer, Gramene, in collaboration with the NSF-funded Planteome project, the NIH-funded Reactome project, and the 2017 Gene Ontology Consortium meeting (June 1-5, 2017; Corvallis Oregon) co-organized a 2-day jamboree focused on gene annotation and pathway curation. On day 1, Dr. Chris Mungall (Lawrence Berkeley National Laboratory) and Dr. Laurel Cooper (Oregon State University; Planteome project) introduced participants to ontology concepts and annotation resources followed by a hands-on curation session on gene annotations using the Noctua tool. On day 2, Prof. Peter D’Eustachio (NYU School of Medicine; Reactome project) introduced participants to the data model used for pathways in the Reactome and Plant Reactome databases and demonstrated step-wise curation of a pathway using the Reactome curator tool. Dr. Sushma Naithani (Oregon State University; Gramene project) reviewed strategies and resources used for gathering data for curation beforehand, and led a hands-on curation exercise assisting participants on how to integrate and organize pathway data using the Reactome curator tool. Examples from both plant and non-plant model organisms were used for curation in both workshops. Strategies to involve scientific communities in gene and pathway curation were discussed.